Let’s face it: Not all professional learning opportunities result in improved instruction. According to a study of professional development activities by the National Staff Development Council, the professional learning activities teachers traditionally participate in, such as workshops, seminars, and conferences, have been shown to be less effective in changing practice than other types of learning that support sustained opportunities to implement that learning in the classroom. Unfortunately, our educational system has not provided many of these opportunities. Our policies and our practice both encourage more traditional options. We have tended to take a “one size fits all” approach to professional learning for teachers. Despite research, such as that by Fullan, that shows that teachers need learning experiences that align with their real learning needs and their unique contexts, limited resources and inadequate opportunities prevent most teachers from selecting and participating in such individualized learning. My recent study of the professional learning practices of teachers in the North American Division showed that there is a high level of expectation in the system for annual participation in professional learning and that most of our educators participate regularly in some type of learning. However, fewer than half of the teachers surveyed believe that their professional learning is directly related to their current needs. In other words, although most teachers in the system participate in some type of ongoing learning, likely the result of the recertification requirements for Adventist teaching certificates, much of that learning is not relevant and does not result in improved practice. Another important finding of my study is that when more opportunities are available for collaborative practice, educators spend more time in professional learning and participate in more types of activities. Collaboration gives teachers an opportunity to engage their own contexts to shape their learning. Reflection and dialogue help to create meaning that is more likely to result in sustainable and meaningful change for the improvement of instruction. Unfortunately, distance, time, and limited resources often make collaboration difficult in the Adventist system. 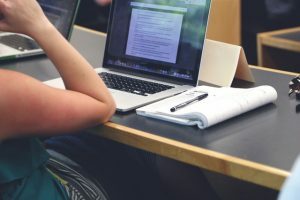 Technology may assist in creating professional learning communities that not only connect teachers, but provide the flexibility, customization, and “just-in-time” learning that many teachers, millennial teachers in particular, crave. But even more important is a willingness to venture out beyond our comfort zones to consider and then facilitate more non-traditional approaches. Leadership is critical in this process. Leaders can nurture a culture where teachers can articulate their needs in a safe environment that supports both voice and choice. This support may mean new job-embedded models, cross-generational and cross-curricular planning time, a reconsideration of certification and recertification requirements, classroom-focused action research, adjusted workloads and teaching schedules, more opportunities for local teacher leadership, and professional learning communities. Only when we move toward these goals will professional learning fulfill its intended purpose of ongoing instructional improvement and increased student learning. Betty Bayer, PhD, is the Director of Education for the Seventh-day Adventist Church in Canada.She has worked in Adventist education for 38 years, and is convinced now, more than ever, that there is no more important work than the work of educating our children for eternity.